It’s time to celebrate with great company, live entertainment and a three-course dinner prepared in-house by our creative chefs all from £35 per person! Unlike other venues, at Churchill’s, you can book to suit your party. Tables can be for 2, 4, 6 or 8, or you can book the whole room for 150 people! The room design allows for customised lighting to match your companies branding or a festive theme, and with its state of the art LED dance floor and raised centre stage, your party will be a guaranteed success. 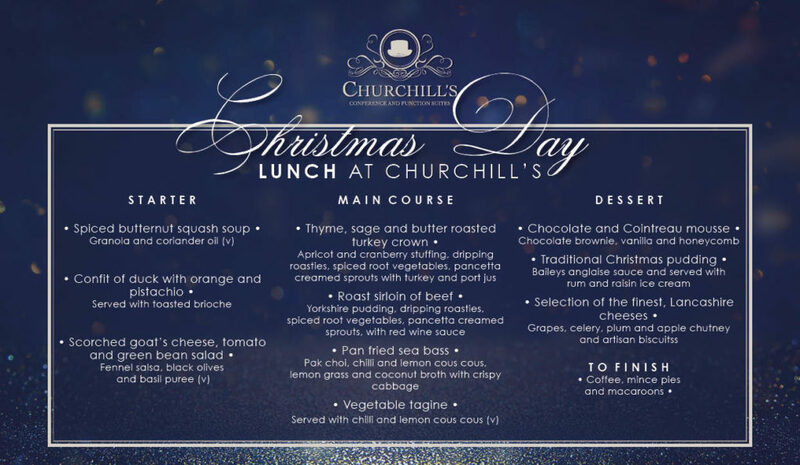 Check out our fantastic menu below or click here to view our online festive brochure. Forget the stress of preparing a traditional Christmas Lunch with all the trimmings and let us do all the hard work. Enjoy and indulge in style whilst our friendly and attentive team take charge. The package includes live entertainment, a champagne cocktail and a beautiful selection of canapes on arrival. 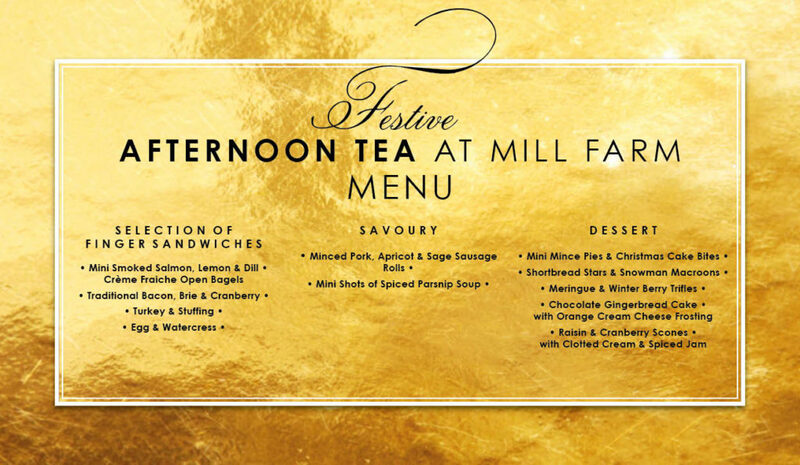 Check out our exquisite menu below or click here to view our online festive brochure. Our £65.00 package includes a glamorous champagne and canapes red carpet reception followed by a fabulous six course sit down dinner. Keep reading to view our amazing menu. Vintage Swing Thing will be taking the centre stage again with a variety of other live entertainment throughout the evening. 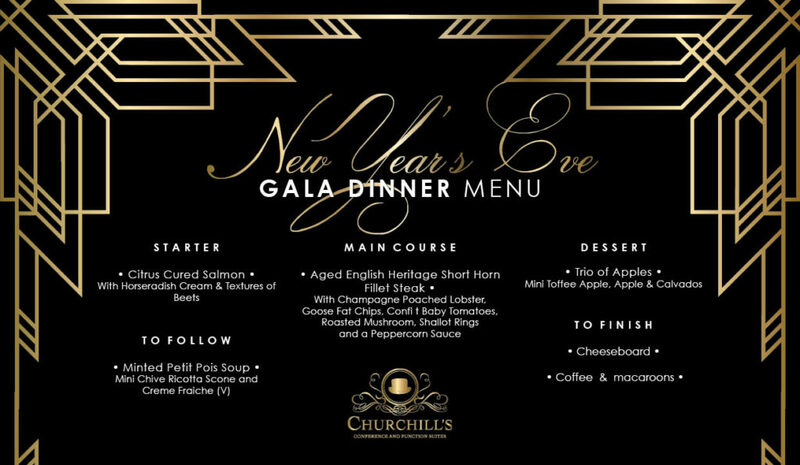 Bring in the New Year with a bang here at Churchill’s! 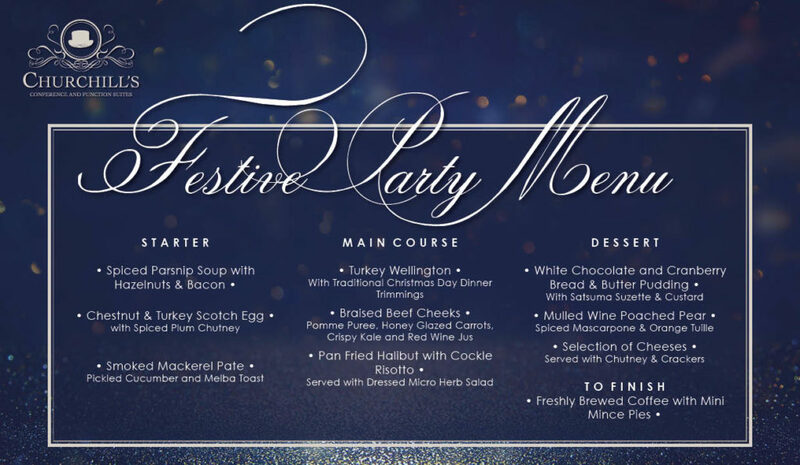 Take a look out our gala dinner menu below or click here to view our online festive brochure. Fancy a Christmas gathering with a difference? This year we are offering groups of 8-18 people the chance to book private dining in one of our own pitch view Executive Boxes. This offering is available 1.30pm – 4.30pm (excluding AFC Fylde match days and Sundays). Prices start from £20.00 per person or if you’re feeling extra festive why not add prosecco or mulled wine for £25.00 per person?